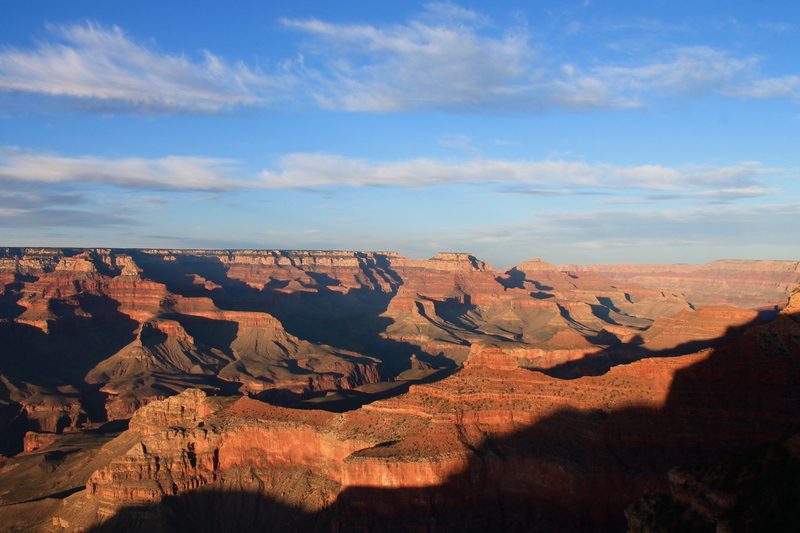 When I was coming up with my 30 before 30 list, I had to add “Visit Grand Canyon” to it. I had never been and it seemed like one of those places you HAVE to visit. 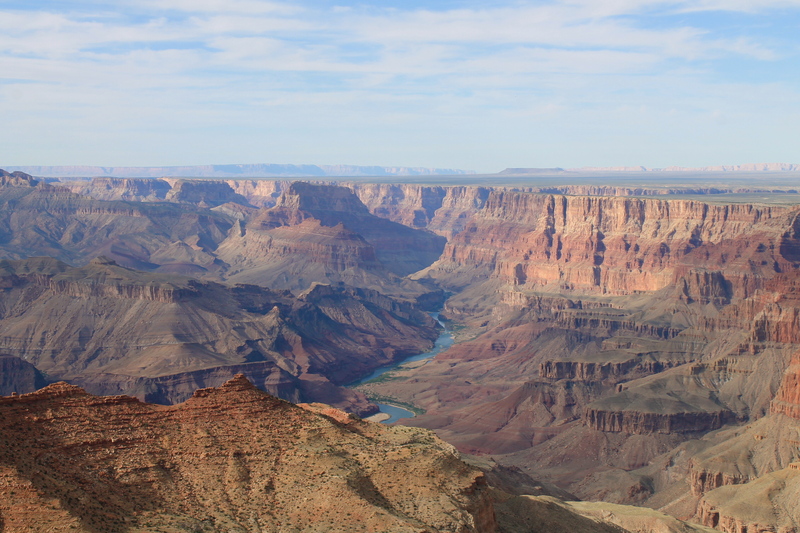 Plus, at the time of writing the list, I lived in Los Angeles which is way too close to the Grand Canyon NOT to put it on the list. Another thing? 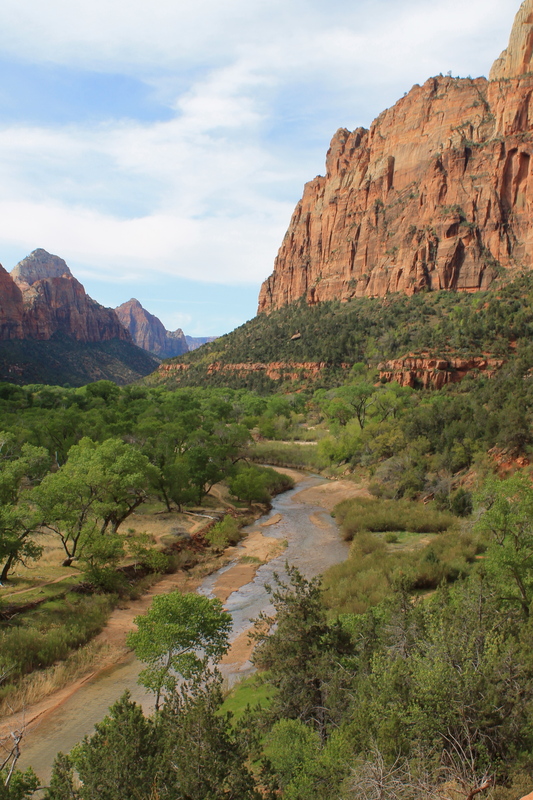 I wanted to/want to visit other National Parks because there is SO much of this country that I haven’t seen. Back in April, I moved back to the east coast from Los Angeles [THAT WAS ALMOST A YEAR AGO?! Slow down tiiiiiime]. I had been thinking about the move for awhile, and I finally decided to do it. My mom and I spent some time debating if I would ship everything (including the car) back east or if I would drive across country. Once we crunched some numbers, price would be about the same either way but the fun factor of a cross country road trip was too good to give up! As we started planning the trip, we were trying to figure out Southern route, Northern route, Middle route. I really wanted Northern Route but we weren’t sure how the mountains were going to be, and when we started thinking about the Southern Route with the Grand Canyon, Santa Fe, and just some different parts of the country that we wouldn’t see otherwise, we were sold. I was a little difficult though. 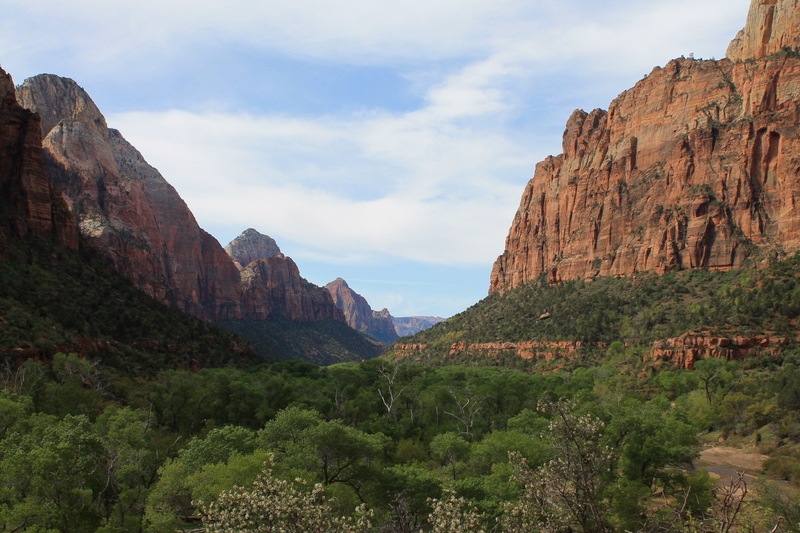 Instead of going from LA to Grand Canyon/Arizona direct, I wanted to go up through Vegas and stay in Springdale Utah for a night and do a hike in Zion National Park. Everyone that’s been there has always raved about it and I wanted to experience it too. 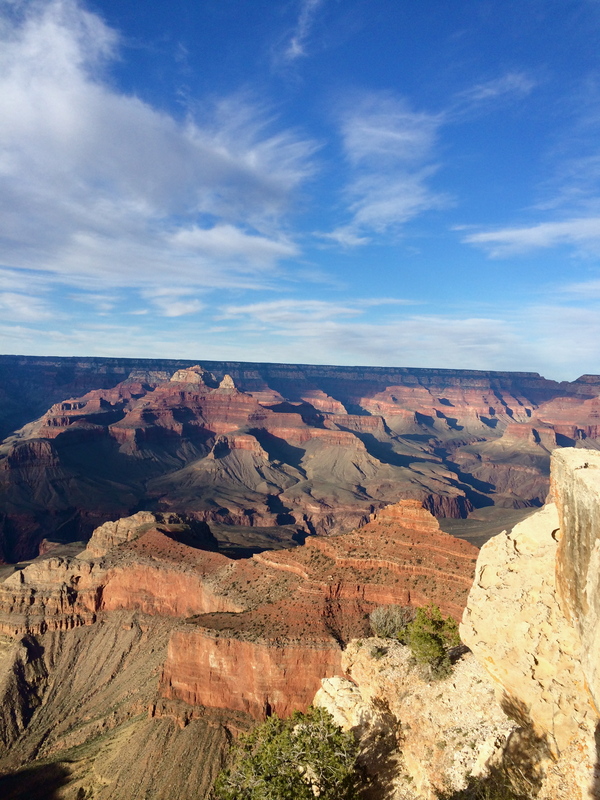 And then Grand Canyon was a big DUH. You can’t drive through that part of the country without making it a priority. 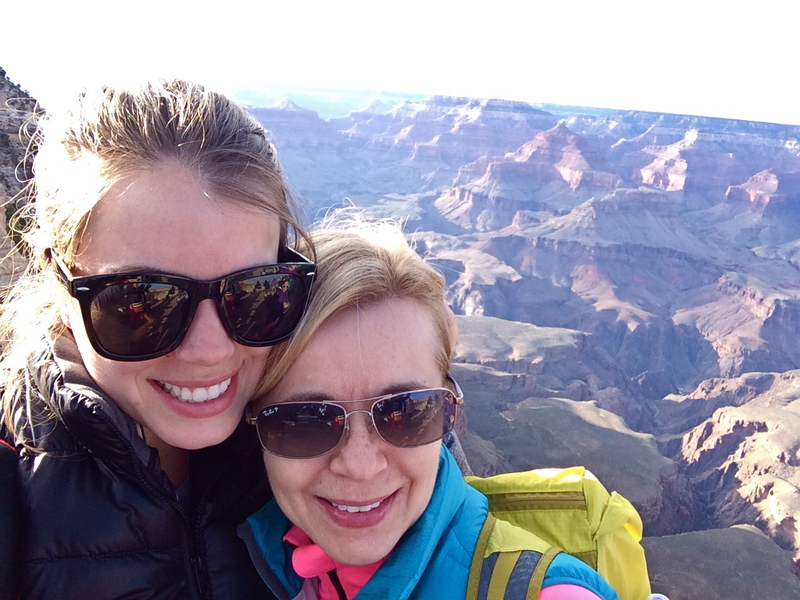 I’ve always wanted to see the Grand Canyon (mom too), partly because it’s something that everyone should see; It’s the quintessential family vacation. It’s really cool looking, it’s a major landmark, and we didn’t know when else we would see it. What was also decided for us was which rim we would go see. 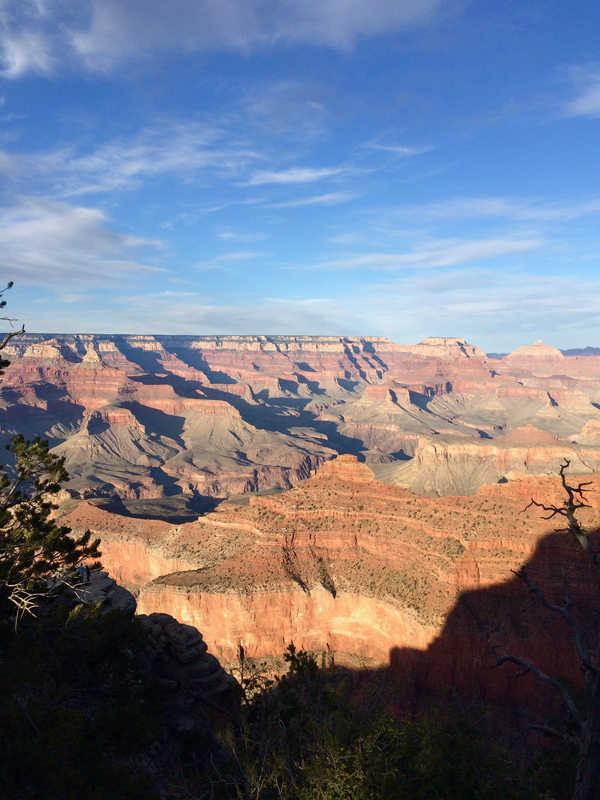 There’s the North Rim and the South Rim. The South is definitely the most popular but the views from the North are supposed to be a little more wild and less populated. 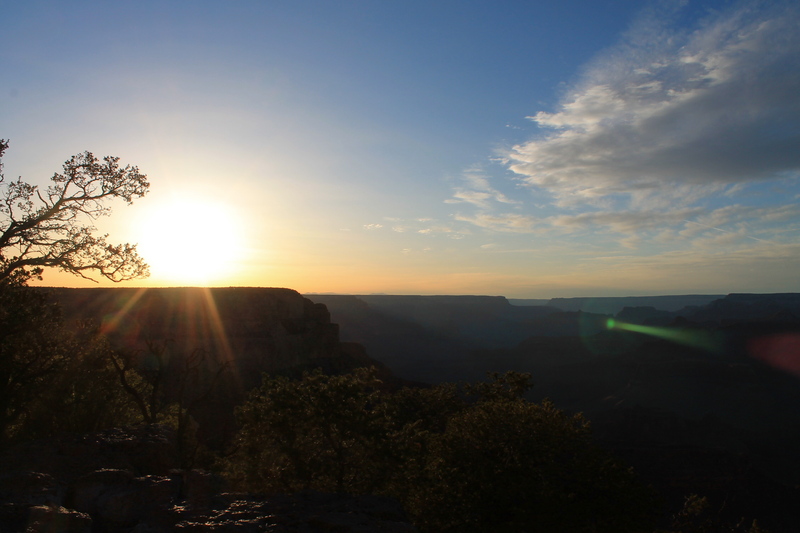 However, in April, the North Rim is still closed (it reopens in May) because it’s still winter season there and the road leading up to it is closed for the season. While planning the trip, I scoffed at the thought that it would still be winter in April in Arizona (aka the desert), but once we got there it was almost freezing (because mountains. and elevation). Like actually. Once the sun set, my car said it was 36 degrees outside and the temperature gauge started flashing, probably because my car had never been in such cold weather before. Poor California baby. I probably could’ve spent a week in that region, but my mom and I really only had a day/day and a half. Our day’s schedule was wake up, eat breakfast in Springdale, UT, do a 2 hour hike in Zion National Park (OMG IN LOVE), drive the 4 hours south to the Grand Canyon, spend about 2 hours walking around the rim and watching the sunset, and then driving a little further south to our bed and breakfast in Flagstaff Arizona. Ambitious right? Well, we did it. 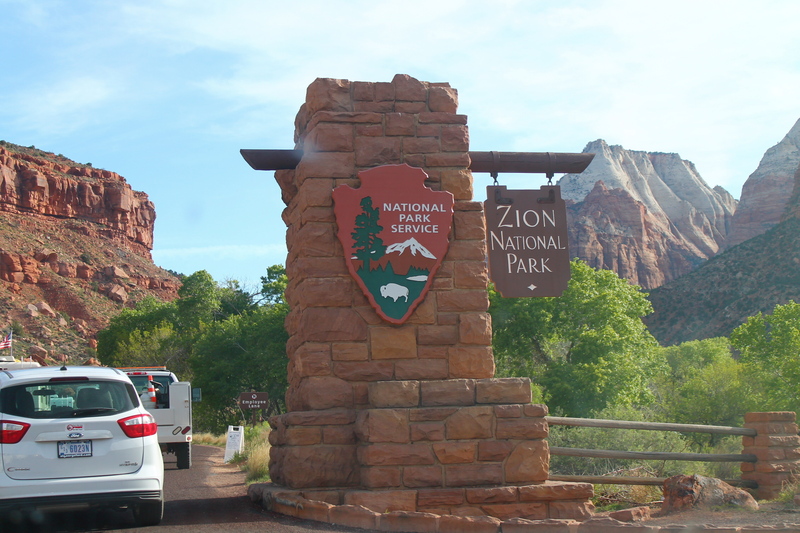 We stayed at the CUTEST bed and breakfast in Springdale and then went into Zion National Park. We really wanted to hike The Narrows but it was too cold/the water would be very cold and that wouldn’t be too enjoyable. 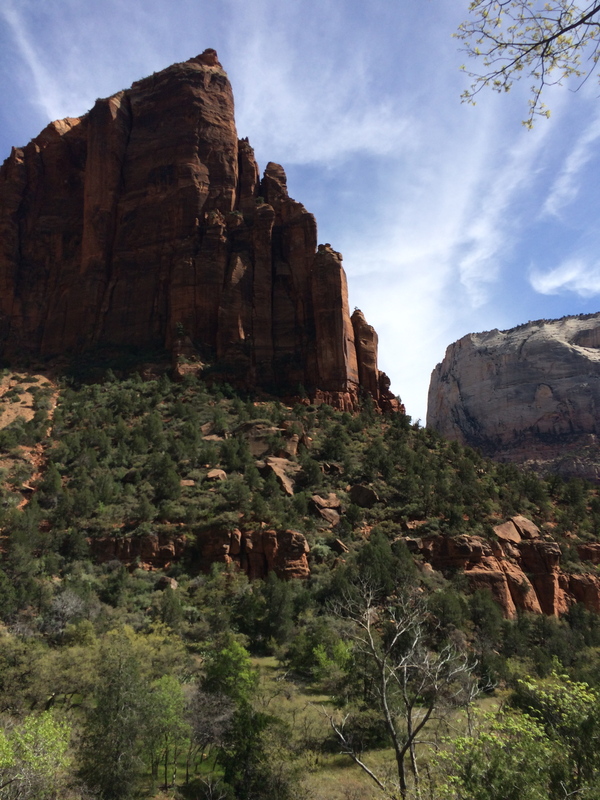 We decided on the loop that combines The Grotto, Kayenta Trail, and the Emerald Pool trails; it was GORGEOUS. The views were breathtaking and the hike wasn’t too strenuous given our time constraints. We spent a few hours in the park, took the shuttle to and from the hike (and got to see some of the views from the bus as well!). I regretted having only a few hours, but we needed to leave if we were going to make it to the Grand Canyon and then our b&b in Flagstaff. We drove down to the Grand Canyon, steadily climbing in elevation until we were no longer surrounded by dessert and instead surrounded by big trees. 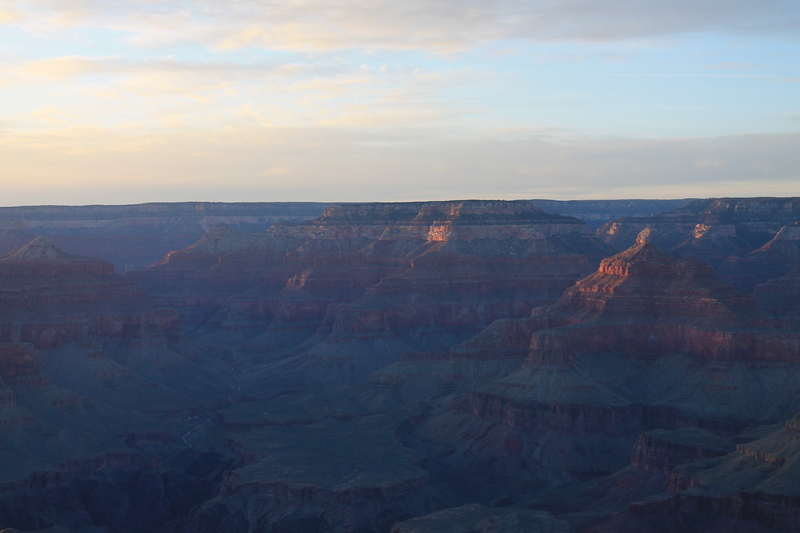 We were driving towards the South Rim and we pulled off at one of the first little turnouts we saw and OMG. 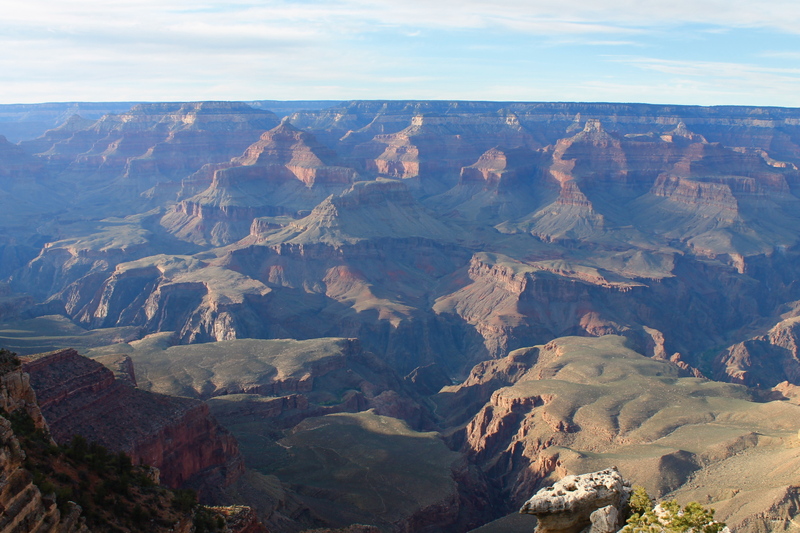 That first view of the Grand Canyon was unbelieveable. There was only one other couple that stopped there so it was quiet, peaceful, and HUGE. 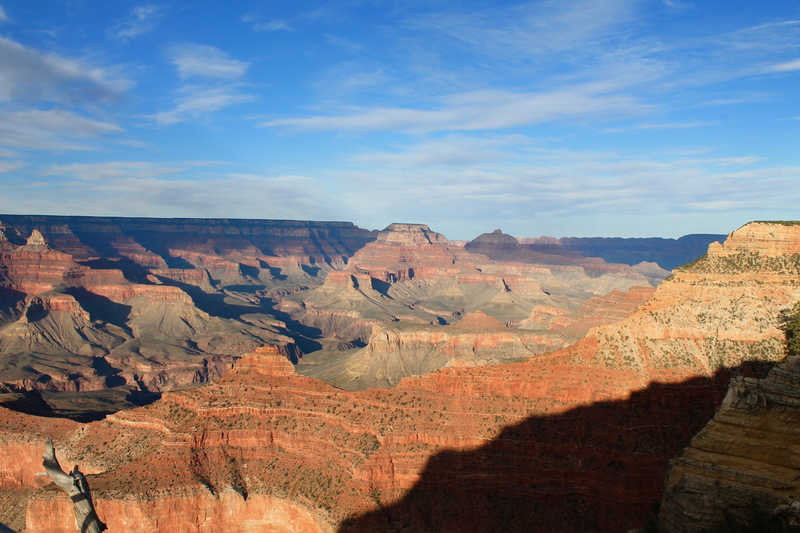 I don’t think you can understand the vastness of the Grand Canyon until you’re there in person. We spent some time there and then hopped back in the car. We arrived at the “main” area, where there were parking lots, restrooms, and a visitor’s center. 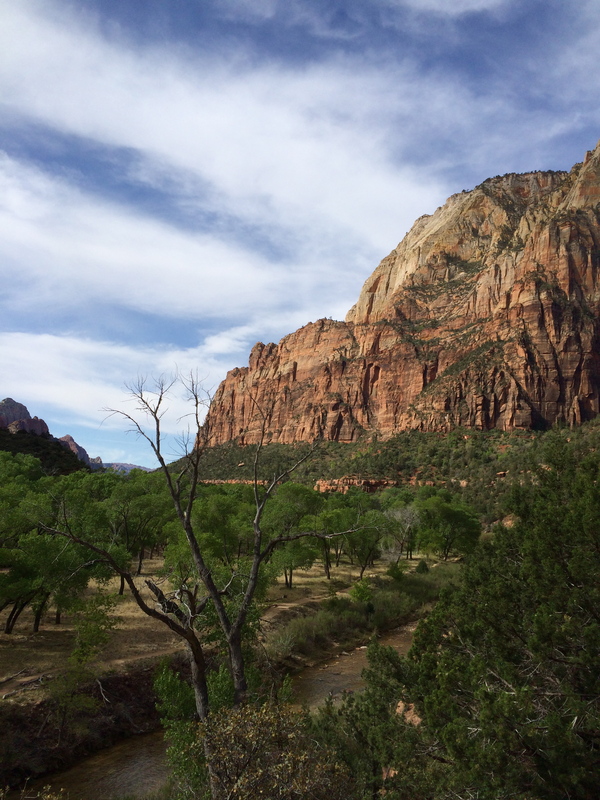 We parked the car and made our way towards the rim, intending to walk along the path that’s adjacent to the canyon. We saw these guys out on one of the ledges, taking pictures, and we were the ones that were scared. 5 minutes later? We ran into them on the path and heard them speaking Swedish. 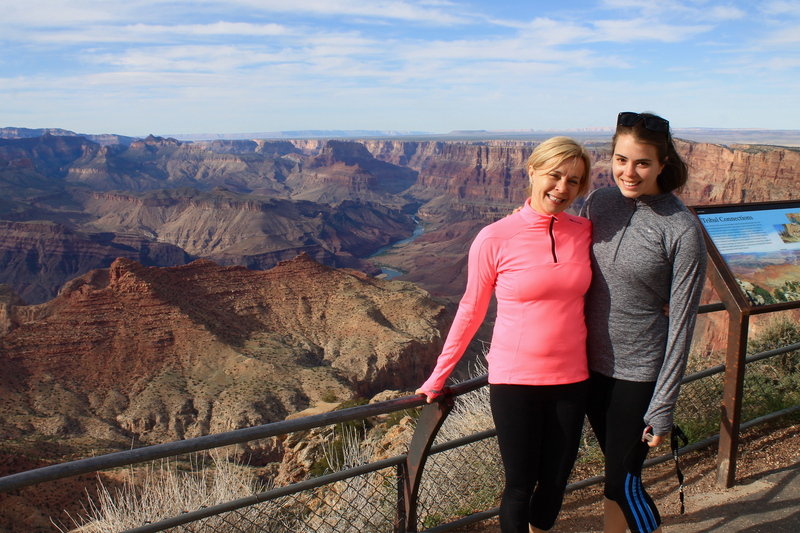 Of course my mom and I are at the Grand Canyon and run into Swedes within 5 minutes. We said something to them, and then we ended up with 4 Swedish friends to walk around with. It was incredible. The views, the vastness, and colors. Really, the everything. It was so beautiful that when I look back at my pictures, they still don’t quite do it justice. 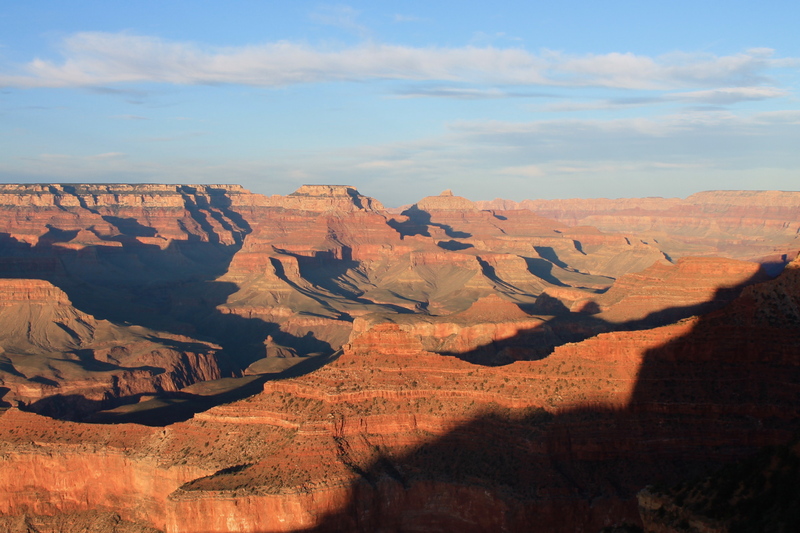 Oh, and to see it at sunset as the colors of the sky and the clouds and the canyon itself were changing? Incredible. I wish I could stop saying incredible and beautiful because I feel like it sounds like a broken record but it was. It was incredible. Once the sun set, it got cold fast as we ended up jogging back to the car to get warm. 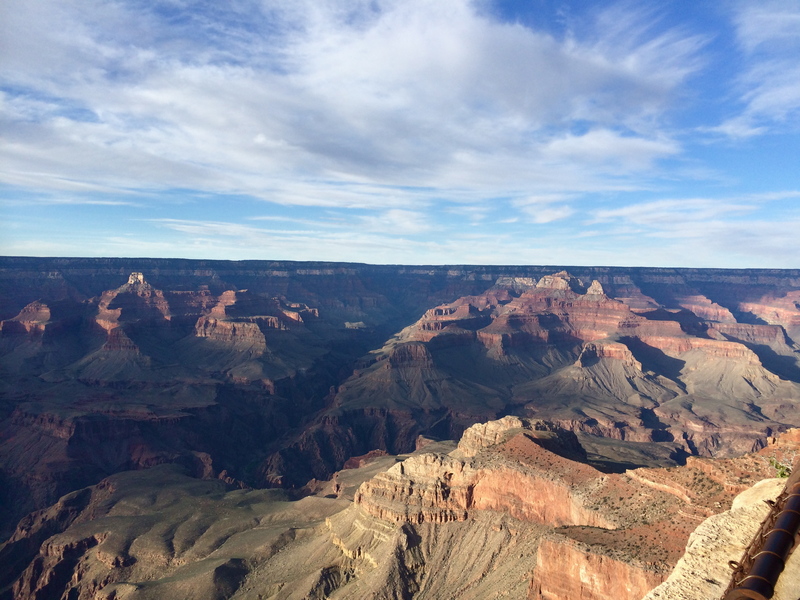 I know we didn’t have a ton of time at the Grand Canyon, but I’m SO happy we were able to fit it in on our journey.